This centre is housed within a 3 floor contemporary block providing offices which have been attractively decorated and are suffused with natural light. Reception and meeting rooms are included and the property gives tenants access to a communal kitchen and parking spaces. Church Street is in quiet, suburban district an easy walk from Teddington station. Located in the proximity of Heathrow airport, this high-spec modern development offers office accommodation with an excellent standard of decoration and top quality fixtures and fittings. The location is great for the West End and the City as well as the M3, M4 and M25 as well as the airport ensuring convenient access nationally and internationally. Facilities within the building include high-grade security systems with colour video entry phone, shared kitchen facilities and IT/ telecoms networking. Benefits include unrestricted on street parking and 24hr access. 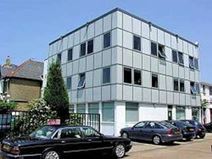 This listing offers contemporary work space, situated just off Teddington's vibrant high street. 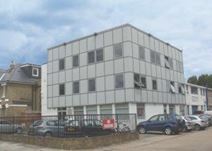 The office building has been tastefully converted to offer open plan office space and has great facilities. Tenants can benefit from 24 hour access, excellent transport links and communal kitchen area. The office building also has meeting areas and super-fast WiFi. Teddington High Street has great amenities, providing plenty of places to grab lunch. Close to Bushy park and the Thames, a few minutes' walk from the station and only seven miles from Heathrow Airport this leafy part of West London is ideal for local and international travel while at the same time providing a calm, creative and entrepreneurial place to work productively from a choice of private offices and coworking areas. Local amenities include coffee shops, shops and places to enjoy a lovely meal and drinks.